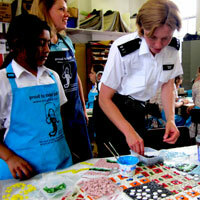 Workshops also took place with neighbouring community groups: Hopscotch Asian Women's Group, Age Concern, New Horizons and Somers Town Youth Centre. 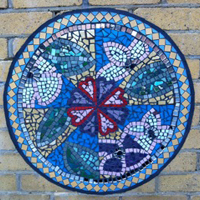 One of the panels will be going up permanantly in a public alleyway that leads to the Community Centre and the others will be going up in the school playground. 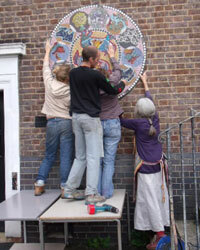 The opening ceremony will be in the Autumn Term 2010. 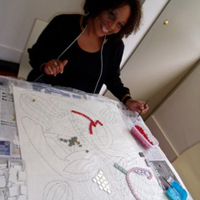 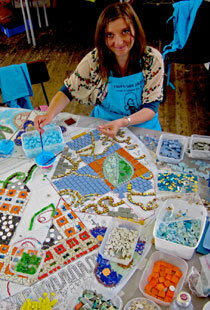 "I have really enjoyed this project of mosaicing. 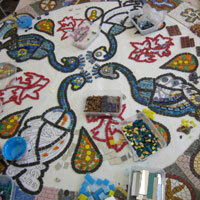 There were very complicated parts and there were tricky bits. 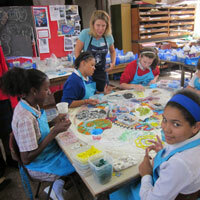 I told my mum about the project and she came to the school and worked with me after-school one day. 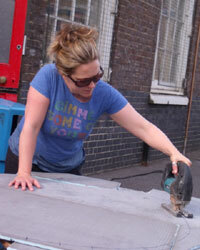 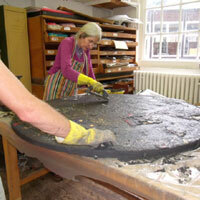 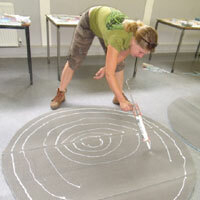 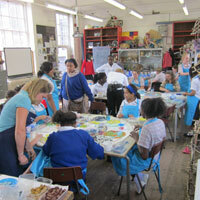 Catherine, Clem, Maud, Leona and Eva, many more teachers and pupils helped out too." 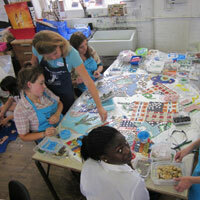 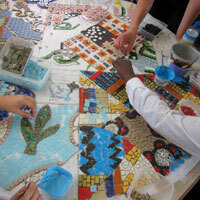 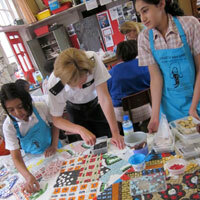 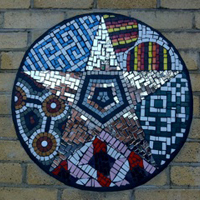 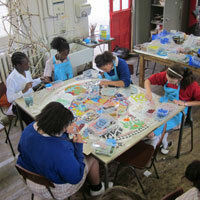 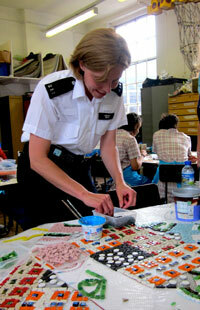 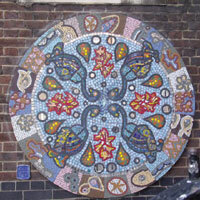 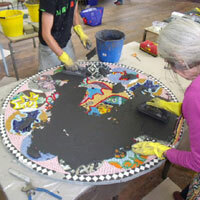 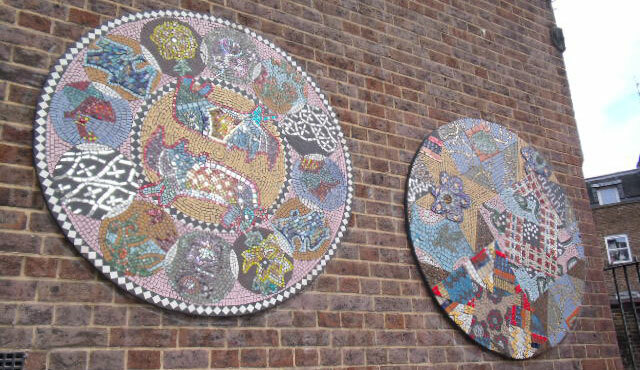 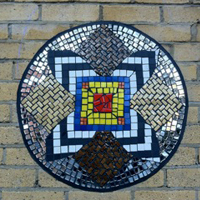 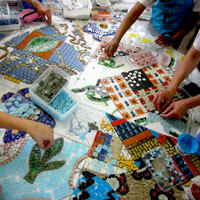 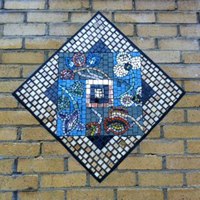 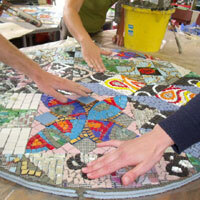 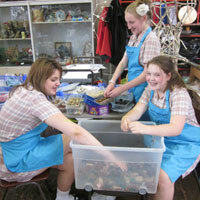 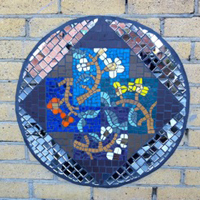 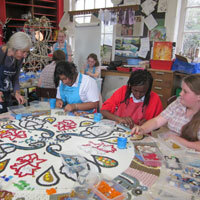 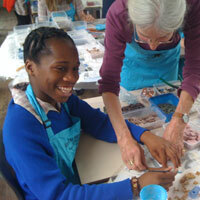 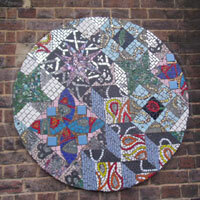 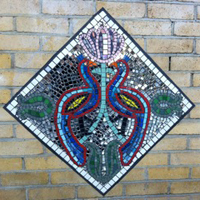 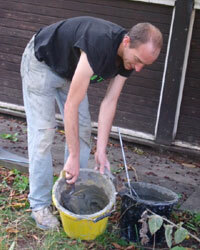 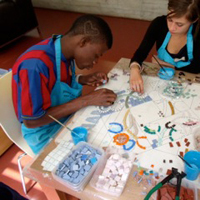 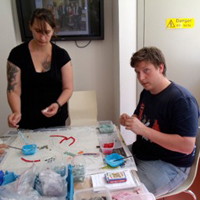 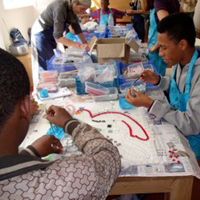 "Maria Fidelis were lucky enough to be taking part in a brilliant mosaic project. 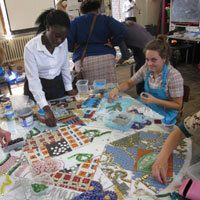 We used a wide range of tiles from any colour of the rainbow. 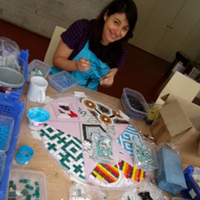 I would spend my lunch or break glueing tiles down or peeling and preparing them. 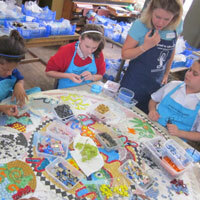 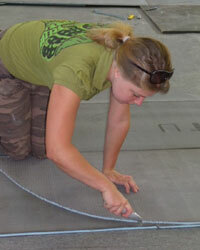 Everyday, when I came back, the project would have built up and progressed more. 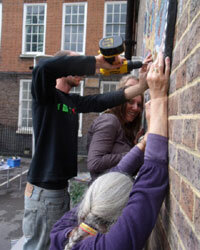 It was great to take part in such an interesting project that will soon be on our school wall. 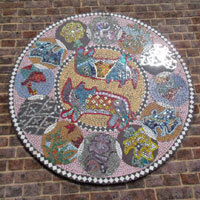 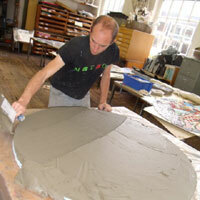 With help from Artyface we have made a masterpiece which we hope will be in the school for a long time to come. 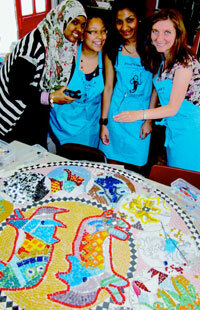 I am glad I took part in such a fun project, thank you to everyone." 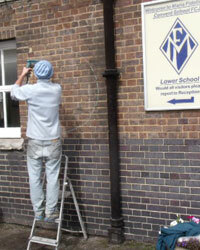 "I thought it was a great idea to decorate and brighten up our school since it is a bit of a dull place. 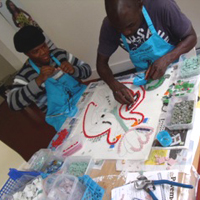 We came and took part everyday at break and lunchtimes, and the artists were all extremely kind and supportive throughout the whole project. 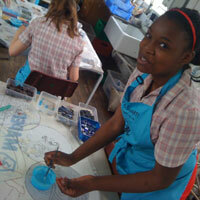 I thought it was a terrific experience."